The Heritage Foundation of Newfoundland and Labrador (HFNL) and the Spaniard’s Bay Heritage Society present a booklet launch at Holy Redeemer Parish Centre in Spaniard’s Bay on Tuesday, October 17th, from 2:00-4:00pm. “Folk Cures and Practical Magic” is the second booklet in the Oral History Roadshow series produced by the Heritage Foundation. 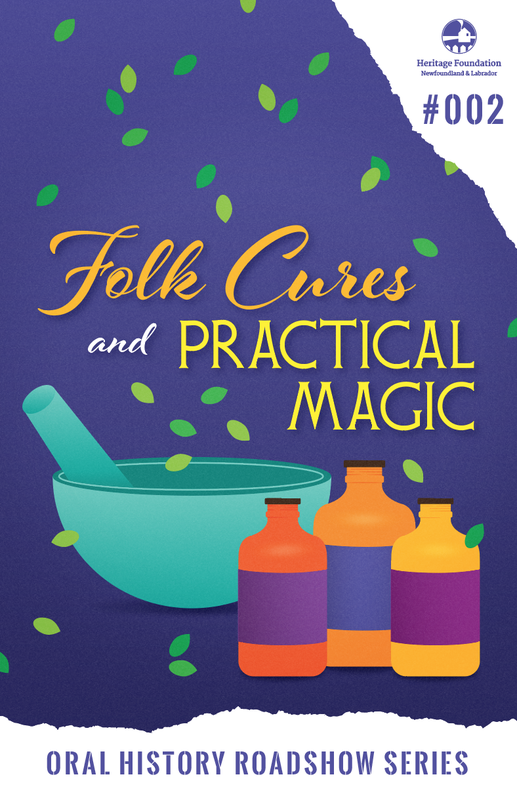 This booklet focuses on charms for warts and toothaches, cures for earaches, freckles, and sore throats, and memories of midwives, doctors, and home remedies. Russell who grew up in Spaniard’s Bay was one of several community members who was interviewed as part of the oral history project completed by HFNL in conjunction with Spaniard’s Bay Heritage Society. "Folks Cures and Practical Magic" is part of the foundation’s Oral History Roadshow. This project is an initiative of the Intangible Cultural Heritage Office of the HFNL made possible with assistance from the New Horizons for Seniors program. The Oral History Night Roadshow will see us travel from community to community, hosting a series of Oral History Nights, open-mic storytelling sessions led and inspired by seniors in that community. The booklet launch in Spaniard’s Bay is open to the public and will include light refreshments. There will be copies of the booklet available at the launch as well as a free PDF version which will be placed online. For more information please call Terra Barrett at 1-888-739-1892 ext. 5 or email terra@heritagefoundation.ca.